McCain-linked Swiss bank warns some former employees not to travel to U.S. Educated readers will recognize the UBS Warburg-Rothschild-Hillary Clinton links with ease. 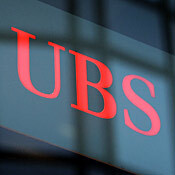 UBS to staff: Don't visit U.S. In the midst of a tax evasion scandal in the U.S., UBS has reportedly told some of its staff not to travel there for fear of being arrested by U.S. authorities. Stephen Beard explains why the request was made.